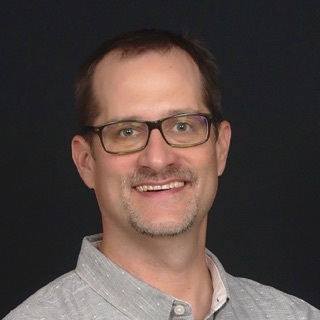 Jim Kalbach is a noted author, speaker, and instructor in user experience design, information architecture, and strategy. He is currently Head of Customer Success at MURAL, the leading online whiteboard. Jim has worked with large companies, such as eBay, Audi, SONY, Elsevier Science, Lexis Nexis, and Citrix. Before returning to the US in 2013 after living for fifteen years in Germany, Jim was the co-founder of the European Information Architecture conferences. He also co-founded the IA Konferenz series in Germany. Jim plays jazz bass in jam sessions and combos in Jersey City, where his currently lives. 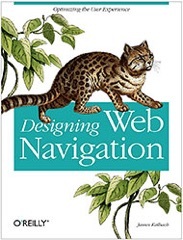 In 2007 Jim published his first full-length book, Designing Web Navigation (O’Reilly, 2007). His second book, Mapping Experiences (O’Reilly, 2016), focuses on the role of visualizations in strategy and innovation. He blogs at experiencinginformation.com and tweets under @jimkalbach. Businesses typically view UX design as a tactical activity. More and more, however, companies are turning to UX as a source of strategic growth. As they do so, creating a design strategy and aligning it with business goals becomes essential. For many UX designers this represents a new challenge requiring an expanded skill set. This workshop provides a solid background for understanding, building and communicating an effective UX Strategy. Through many examples, hands-on activities, and references to relevant literature, you’ll learn about this emerging field that is critical to the future of UX. In particular, we’ll be working with a tool I created based on combination of research and practical experience called the UX Strategy Blueprint. This course is suited for information architects, interaction designers, visual designers, content strategists, and UX designers seeking to better understand strategy, as well as product managers and developers interested in UX strategy. It is geared towards practicioners with an intermediate to advance level of understanding of UX design, in general. Critical look at strategy – Together, we’ll examine what “strategy” is and what it isn't, and why we need a UX strategy. You’ll get an overview of core aspects of strategy in this part of the workshop. Strategy Blueprint – We’ll be working with a tool called the Strategy Blueprint throughout the day. In the section, you’ll learn about the elements of strategy and how to see them as a whole using the Blueprint. Tools for defining strategy – We’ll focus on practical exercises and activities you can use right away in your own work. This includes uncovering the challenges you face, setting your strategic aspirations, identifying focus and scope, and determining measurements for success. Communicating strategy – Effective strategy is ultimately about communication. Learn how to bring your strategy alive once you’ve defined it. This workshop is suited for UX designers, service designers, design leaders, and design thinkers looking to improve their skills and expand their perspectives on strategy. The course assumes some experience working in a design-related field.